EMCS International Limited (EMCS) core business is the supply of skilled labour for ship repair and conversion (either within the shipyard or afloat repairs for vessel managers/owners). The majority of our workforce is East European (Romanian, Ukrainian and Polish) in addition to specialist teams (Painters/Fitters) of Indonesian nationality for Ballast Tank/Deck Cosmetic Upgrading works in service. Other nationalities can be provided subject to client’s requirements. 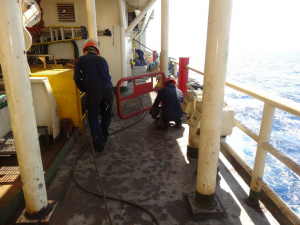 EMCS can provide all trades related to marine repairs (i.e. Coded Welders, Platers, Pipefitters, Engine Fitters, Electricians, Cleaner/Painters, Riggers, Scaffolders, etc.) as well as Class Approved Ultrasonic Thickness Testers and teams to carry out rope access painting of ballast tanks. English speaking foremen/supervisors will always be provided plus workers carry Seaman’s Books and US Visas as per vessel/owners requirements. We have many years’ experience of mobilizing our skilled workers worldwide and can have workers on site/on board quickly, efficiently and with the minimum of issues. We can reduce cost by offering Seaman’s Rate Air Fares and we have extensive knowledge of the various worldwide visa/entry requirements. 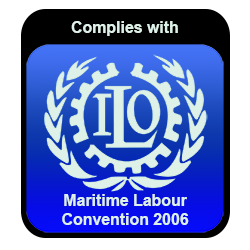 EMCS are very pleased to announce that we have met the Isle of Man Flag’s requirements as a “Recruitment and Placement Organisation” for Maritime Labour Convention 2006 Title 1 Standard A 1.4.5. and therefore can provide our skilled labour for afloat repairs and maintenance in line with the requirements of MLC 2006.